You are what you eat. The same applies to where you live and sleep. Interior design and home décor are one of the best ways you can express your true personality and make your home feel alive. From the furniture and decorations, there are a lot of ways you can express your creativity and amaze your guests with your creative design skills. 1. Start with the walls. Everyone loves to travel, of course, but did you know that traveling can have a direct impact on your home décor skills? When traveling, you get exposed to a lot of different styles of architecture, interior designs and more. Eventually, you’ll get inspired and as you broaden your mind and apply a style you might have seen while on a trip. So, the next time you stay at an Airbnb apartment or a vacation rental, be sure to keep an eye out for the interior design. Furniture is what makes your home feel like home. Otherwise, it’s empty without it. Try to experiment and gather an interesting mix of furniture that stands out. Experimenting with sofas can be a fun way to improve your home décor skills. 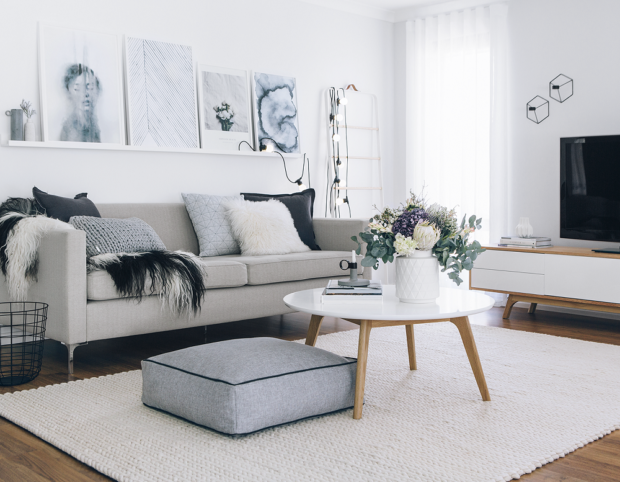 Whether it be through IKEA or Craigslist – quality sofas bring comfort and style. One man’s trash is another man’s treasure. Now, we’re not saying you should add trash to your living room to make it stand out, but, have you ever found yourself with an abundant number of random accessories while moving? Well, those random decorative articles and odds and end collections could be a creative way to add the necessary spices to your living room and make it more personal. Finally, if you really want to make your room fill personal – consider the artwork. Paintings, photos or other interesting objects can really pull the room together and make it feel complete. Wall art matters in interior design and it should matter in your life, and in your rooms as well. It can be hard to master this step and pick the right looking art, but if you’re really looking to provide an instant color palette to your room or create a focal point – consider artwork. Art doesn’t have to be the last piece of the puzzle but when it comes to interior design, it can, and will, take your home décor to the next level.